Six Irrational Games alumni banded together to create an Oregon Trail roguelike. “Ellipsis” means something omitted; what’s missing from Salmi Games’ debut title? It's real—Lumino City is a physical set hand-built and digitized for the game. One of Steam Greenlight's first games makes it Wii U debut. Infiltrate enemy headquarters in this modern update to Elevator Action and Impossible Mission. Wait… How is Pac-Man indie?? Take flight in this peaceful avian expedition. Is there still a market for text adventures? Apparently! Featuring guest host Sabriel Mastin! The puzzle game for fans of symmetry and wordplay. Being a cat is hard work. No, seriously. Keep your cubs alive—there is no greater imperative. As you get stronger, the dragon awaits. Emma, Matt, Ken & Sabriel pick their top games of 2014. Connect the comic book panels to solve the murder. Not all those affected by war are soldiers. If you liked To the Moon, A Bird Story comes next. Remember Clash at Demonhead? It's like that. Only better. Math can be fun!… No, really! Move in parallel through this roguelike dungeon crawler. 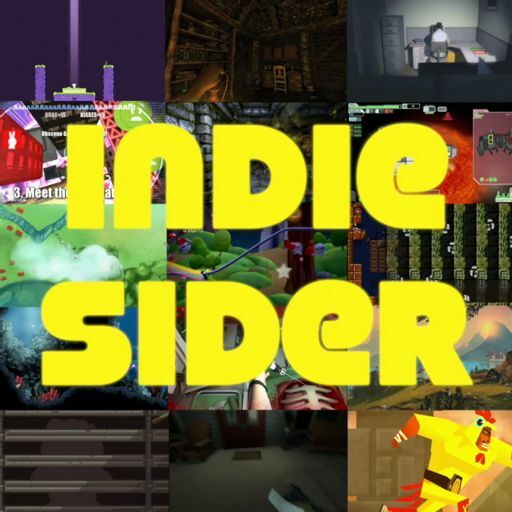 IndieSider - indie video game developers interviews IndieSider by Gamebits is published under a Creative Commons Attribution-NonCommercial-ShareAlike 4.0 International License.